Hiya Toys expands their line up beyond Aliens and Predators with a new series of figures based on the Injustice 2 video game. The story focused fighting game series explores an alternate Earth in the DC Multiverse where The Joker tricks Superman into killing a pregnant Lois Lane, and setting off a Nuclear explosion in Metropolis, killing millions. Superman, after killing the Joker, becomes a dictator, ruling over Earth alongside a mix of former heroes and villains, and killing anyone who dares to defy him. He is ultimate defeated by Batman’s Insurgency, which is reinforced with alternate dimension versions of » Continue Reading. 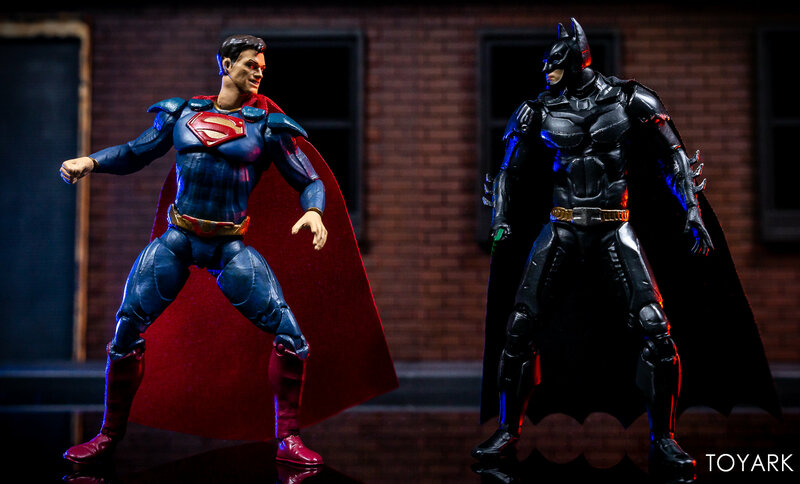 The post Hiya Toys Injustice 2 Batman and Superman Figures – Toyark Photo shoot appeared first on The Toyark – News.